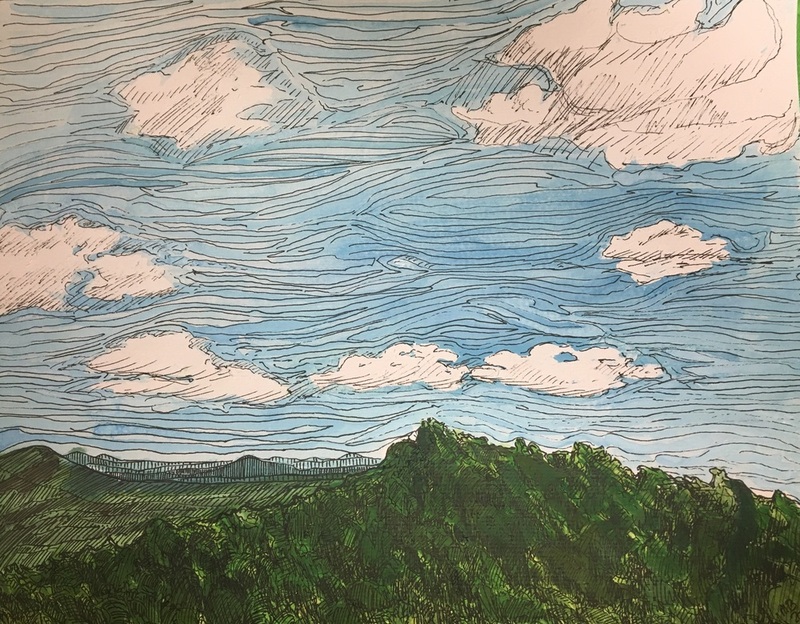 Watercolor and pen painting I did at the mountain lookout tower at Hot Springs yesterday. View from the watch tower, watercolor and ink on paper. 11x14 inches.